The year in review has been truly a watershed year for your Company, the industry as well as the Indian economy. Momentous changes have been ushered in, which augur well for value creation at all levels in our field of operations. Dish TV India Limited leads the market with its three prominent brands – Dish TV, D2H and Zing Digital. Serving its customers with passion, it offers the best quality in entertainment services. Asia's largest Direct to Home Entertainment Brand, Dish TV is the pioneer when it comes to digital entertainment. A division of Dish TV India Limited, the innovative offerings and revolutionary features of Dish TV have earned it a prestigious place of being India’s Most Trusted DTH Brand, 4 years in a row. D2H, the youngest entrant in DTH category in India, started its operations in 2009. Today it is the fastest growing DTH service with a net subscriber base of more than 23 million subscriber homes. It has a strong pan-India distribution network and penetration across 93% of all consumer durable trade outlets. New Delhi, March 18, 2019: Catering to the evolving needs of customers, Dish TV India Limited, world’s largest single-country DTH Company is set to galvanise the industry with its new acquisition offers for both its brands. Recently many popular entertainment channels were taken off from Free Dish, and these customers are in need for their daily dose of entertainment. 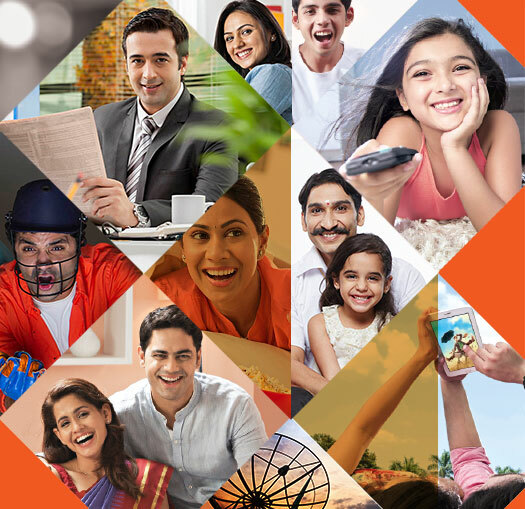 To benefit these customers, ‘Bharat Cricket Combo’ on DishTV and ‘Value Combo’ on D2h are affordable new acquisition offers for cricket lovers at just INR 1,270 and 1,292 plus taxes for three months respectively. This has stirred up the entire market and led to doubling of new customer acquisitions and tripling of win-backs over last few days. New Delhi, February 13, 2019: Dish TV India Limited, the world’s largest single-country DTH Company has entered into an in-film marketing association with Tiger Baby & Excel Entertainment’s forthcoming movie ‘Gully Boy’, starring Dish TV brand ambassador Ranveer Singh. Through Gully Boy, Dish TV is reiterating its commitment of giving its subscribers complete freedom of choice. New Delhi, January 28, 2019: Multi-faceted business conglomerate Essel Group’s management has successfully arrived at an understanding with lenders which are having pledge on shares held by the promoters. In view of the sensitive situation triggered due to the steep fall of the stock price of Zee Entertainment Enterprises Limited and Dish TV India Limited, a detailed meeting of the Essel Group Promoters with the lending entities comprising of Mutual Funds, NBFCs and Banks was conducted.